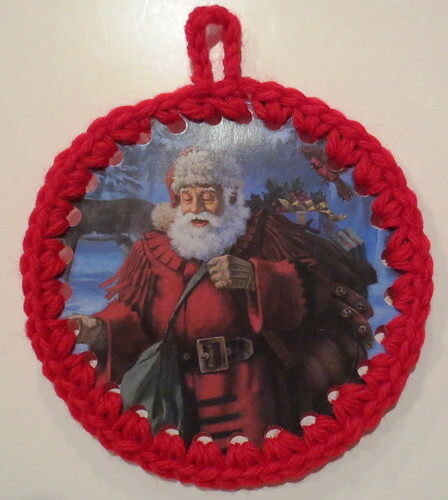 Here is my picture tutorial on how to recycle old Christmas cards into ornaments. Just follow my step by step process and make sure you round off the corners on any square cards. Use a hole punch and punch around the outside edges of each card. Crochet into each hole using a small crochet hook with one or two single crochet stitches in each hole. When you reach the top, chain 10 and join to the top and weave under the end on the back of the card. 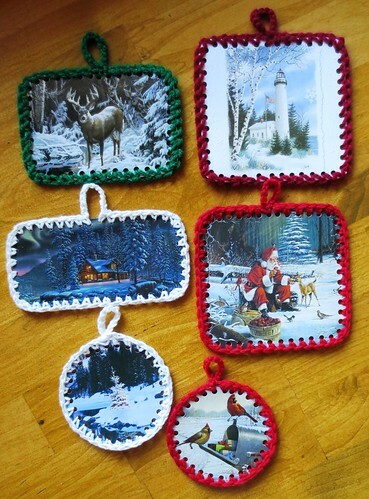 Here is a picture of a group of crocheted Christmas card ornaments I was able to recycle using the promotional cards. Most of these were crocheted by doing just one single crochet stitch in each hole. I do like the fuller look of the ones with 2 stitches in each hole. 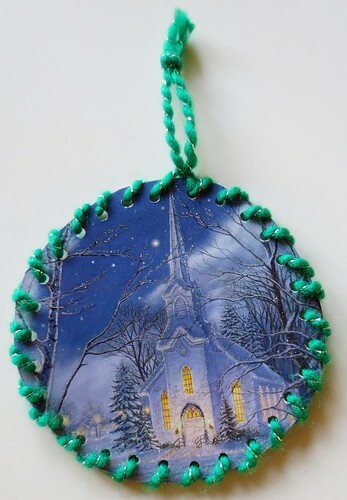 One additional feature is that the back also has a pretty scene so these are nice to hang on a tree or use for other Christmas decorations. Hope you find the time to try this recycled craft idea as these also make wonderful little gifts to hand out during the holiday season. That was a great article. Your idea is really very unique. 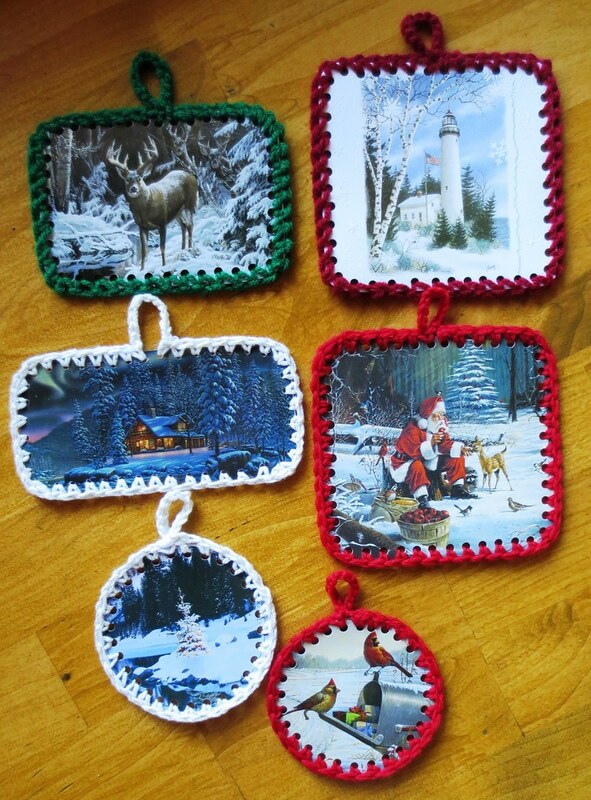 I am going to give my kids similar homework to be completed for Christmas decoration. Thanks a lot.